Ina Ilin’s MBA commute probably trumps yours. The current Modular Executive MBA (EMBA) student at Cass Business School completes a round trip of nearly 7,000 miles every month, all in the name of education. That’s because she lives and works in Dubai, where she travels into London from on the third weekend of every month to learn, network, and debate. The Modular Executive MBA program at Cass is delivered this way to offer flexible learning for busy executives, and to open the door for international commuters to study in the heart of London’s vibrant financial district. Ina is originally from Australia, where she worked in Sydney for JP Morgan for three years before moving to the Commonwealth Bank. It was after two years there that she relocated to Dubai with her husband. She’s been there ever since. Ina explains that she chose the Modular Executive MBA at Cass because of the flexibility—an evening Executive MBA wouldn’t have worked. Her commute consists of an overnight flight—around seven hours—after which she arrives in the morning ready for class. Over the four days of lectures, classroom discussions, and group work, she’ll also debate and network with peers, before heading back to the airport in time to catch another overnight flight, taking her into Dubai ready for work when she arrives. In her first year on the program she’ll cover modules on Global Business, and Strategic Management, among others. In her second year she’ll choose electives, such as Innovation and Entrepreneurship, or Leading Digital Transformations. Tapping into that network at Cass Business School was key for Ina when she was initially choosing where to study. “I spoke to people who had done an Executive MBA and one of the key things was that when you decide […] you should look beyond the content and see how they can support you throughout your career,” she explains. Ina adds that she wanted exposure to a broader set of leadership skills to complement the technical skills she had already developed during her career. She wants to climb the ladder and eventually work as a COO—to achieve this, she says, she needed to gain the knowledge of how an entire business works. The Modular Executive MBA at Cass begins in March—Ina explains that nine months in it’s already paying dividends. She says that by mixing with such a diverse cohort—17 nationalities in a class of 45—she is able to take different mindsets back into the workplace and overcome challenges by collaborating with peers on the program. “I personally wouldn’t have had exposure to all these people had I not been part of the MBA program,” she admits. In the past, she explains that if there were any gaps in the organization or if someone was overworked, they would just hire new people to plug the holes. 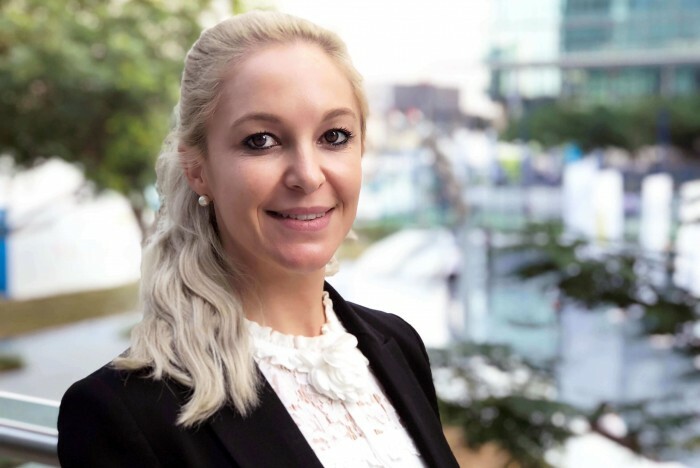 Another thing she’s implemented is her soft skills, taking the tools and frameworks she’s learned on the Cass Modular Executive MBA and using them to better mentor and coach her colleagues. “It’s quite a tricky line between having a chat with friends in a social setting and then in a work environment,” she says. “I’m trying to bring those two together in a professional environment.